Project AWARE: Nearly 800km for sharks! PADI and Project AWARE Asia Pacific staff, friends and family took to the chilly ocean waters in Manly, Sydney Australia on Sunday 22nd September to Get Swimming to End Finning. Eighteen swimmers enjoyed picture perfect conditions for their 1km ocean challenge, clocking another 18km in the water the event takes the global collective distance scuba divers have swum in the name of sharks to an amazing 800km. Congratulations to PADI Vice President, Jeremy Coleman and his daughter Georgia, 11 who finished in the top five. 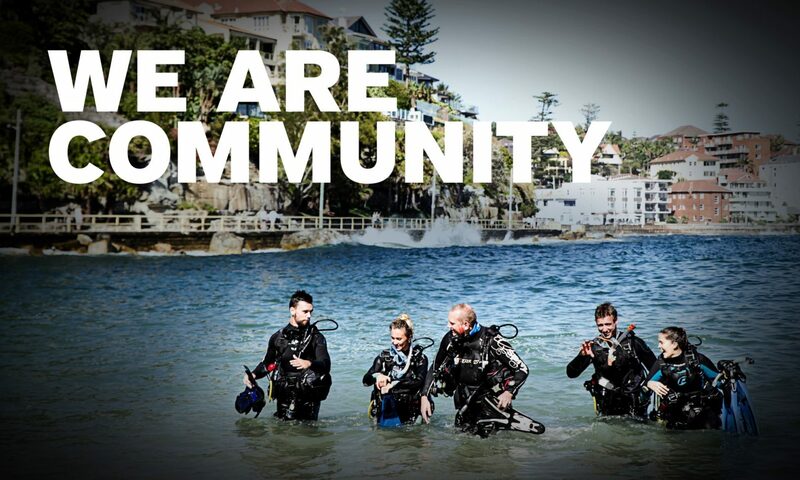 “PADI Asia Pacific was proud to support the Manly Finathon. Everyone should be very proud of their achievement; it was an exhilarating ocean swim. It was also a wonderful welcome to Sydney for the PADI Regional Managers from across Asia Pacific who arrived this weekend for a conference and donated to support the swimmers,” said Jeremy. Manly to Shelly beach is a popular swim on the northern beaches but it was a first-time experience for many participants, who enjoyed spotting an array of marine life thanks to Cabbage Tree Bay being a dedicated marine reserve. Inspired by such amazing Finathon events organised by PADI divers and instructors around the world, the Project AWARE team were excited to finally jump in the water and get swimming. Prizes generously donated by Scubapro and Deck Bar were presented to top fundraisers who helped raise $3,840 for shark protection taking the global total over $60,000. Visit www.finathon.org and be inspired!